It is also common for the bathroom to have large and small problems in the process of use. The toilet is a big protagonist in the bathroom. 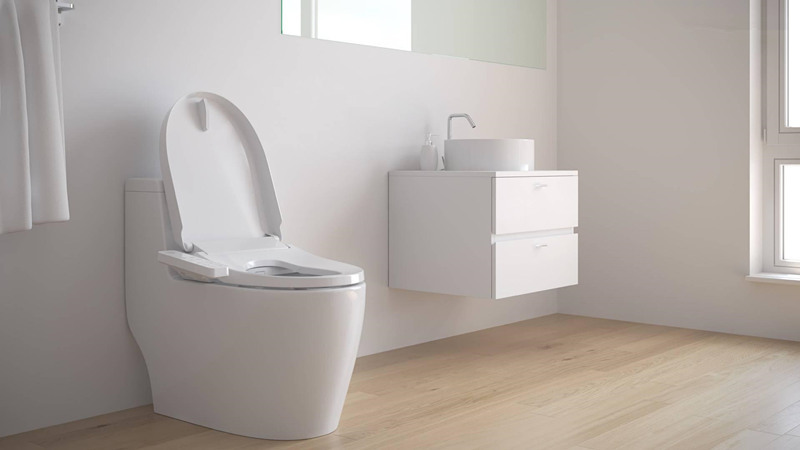 A beautiful and practical toilet not only improves the overall effect of the bathroom, but also prolongs its service life. The toilet should also be cautious in the purchase process. To check the water-saving performance of the toilet is not to look at the size of the water tank, but to see if the design of the flushing drainage system and the water tank fittings is reasonable and the quality is passed. However, it is a little difficult for non-professionals to check whether their design is reasonable and the quality is good. How to check if the toilet is water-saving? Tip: You can read the instructions carefully when you purchase. If the flushing volume is 6 liters or less, then this toilet is water-saving. In fact, the reason for looking at the sewage outlet is very simple, just like the larger the diameter of the bottle, the faster the water is poured, the more it is loaded. Therefore, the larger the sewage discharge diameter of the toilet, the stronger the sewage discharge capacity. If the effluent diameter is too small, the leftovers left in the usual dumping may cause blockage.... Therefore, the sump discharge of the toilet plays an important role. Tip: Put the palm of your hand into the drain. If you can put the whole palm, it means that the drain of the toilet is large enough, and the sewage performance is enough. Secondly, you can touch the smoothness of the water inlet pipe. If the surface is rough, it is easy to hide dirt and dirt, and it is easy to cause blockage. The glaze of the toilet is equivalent to the skin surface of the human body, which directly affects the aesthetics of the toilet. Good quality toilet glaze should be smooth and smooth without blistering and saturated color. Tip: Touch the four walls of the toilet and the surface of the water tank by hand. If you notice obvious scratching, it indicates that the surface of the toilet has sharp protrusions, which may cause unnecessary physical damage during use. People who use the toilet should have experienced the troubles of water failure! The water should be said to be the most vulnerable part of the toilet, especially if the plastic is easy to break, and it is not easy to replace, the average person is very Difficult to repair and replace. Therefore, in order to avoid this potential trouble, we must pay special attention to the selection of toilet water when purchasing the toilet. Tip: When purchasing a toilet, we can quickly and forcefully press the toilet flush button when the water tank is empty. If you can hear the crisp sound in time, it means that the toilet water is reliable. The leaking phenomenon of the water tank is difficult to find. The simple check method is to drop the blue ink into the toilet tank. After mixing, see if there is any blue water flowing out of the toilet water outlet. If there is any, the toilet has a leak. Tip: This method can only be tested after buying a toilet, so don't patronize when you buy a toilet. You must first check if the water tank is intact.